Welcome home to quality and beauty in this stylish home in the desirable Hummingbird sub-division. 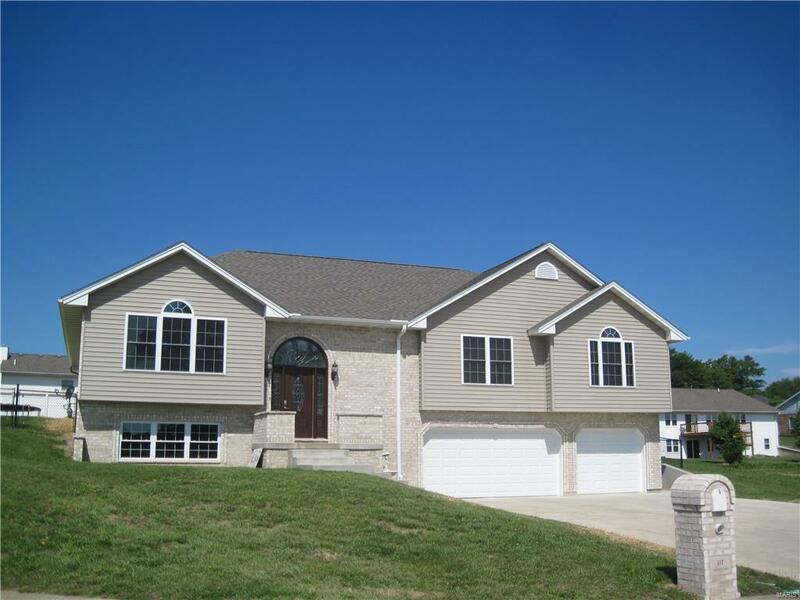 This lovely split foyer home is sure to please, with the highest attention to detail and custom quality finishes. The open great room features a vaulted ceiling, stack-stone accented gas log fireplace flanked with windows, and access to formal and informal dining areas. The gorgeous kitchen has rich, knotty alder cabinetry (with pull out shelving), accented with beautiful granite countertops, porcelain tile flooring, and stainless steel appliances. The kitchen opens to a covered patio for delightful outdoor entertaining. Upscale details include vaulted and tray ceilings, arched windows, and all bedrooms have walk in closets. The master suite has an air jetted tub, separate five foot shower, and double sink vanities. The lower level has a huge family/rec area, a full bath, an office area, and a three car garage. The house is three sides brick, and has a fenced back yard. Welcome Home!